The Saturn return is a well-known astrological phenomenon, probably the next most commonly recognized astrological term after Sun signs and Mercury retrograde. It takes place approximately every 29.5 years, and lasts roughly 2–3 years, depending on whether it retrogrades back and forth between signs during that time. It tends to be a critical turning point in everyone’s life, in some way or another. The Saturn Return is often described in one of two manners: as a time of great achievements and pinnacles, and alternately, as a time of great obstacles and difficulty. In this article, I will discuss how we can distinguish more clearly what the quality of an individual’s Saturn return will be, and also why it matters that we do so. Much of the contemporary practice of astrology centers around archetypes and the individual self-will in order to maximize the “good” sides of planetary archetypes and minimize the undesirable ones. Certainly no one would argue that individual effort is not important; however, I am going to assert that there are technical distinctions that explain some of the differences that various people experience with the same transits. One of the major approaches in contemporary astrology regarding the Saturn return is encapsulated in the phrase, “do the work.” There is an idea that since Saturn tends to be about hard work, then if you do whatever Saturn “wants” from you, you will have good results in the end. However, I believe that this model, although perhaps true some of the time, is problematic if uniformly applied to all lives and charts. I would like to introduce the idea of sect as a major distinction in how people experience their Saturn return. First, though, we should take a look at what Saturn signifies in itself. It is often useful to return to the root meanings of a topic under consideration, even if one feels familiar with the topic already, in order to consider the issue anew. Vettius Valens, in the second century wrote this about the nature of Saturn: “[Saturn] makes…constrictions, bonds, griefs, accusations, tears, cases of orphanhood, captivities, exposures…It procures great reputation and notable rank, guardianships and the administration of the affairs of others…”  These sound like two distinctly different energies: the first grouping describes generally difficult and painful experiences, while the second lists positive and admirable events. If we jump ahead to modern descriptions of Saturn, we find that the depiction has actually stayed virtually the same. Richard Tarnas, in his comprehensive 2006 book Cosmos and Psyche, describes the nature of Saturn this way: “To experience difficulty, decline, deprivation, defect and deficit, defeat, failure, loss, alienation, the labor of existence, suffering, old age, death…restraint and patience, endurance, responsibility, seriousness, authority, wisdom.”  This is again a great spectrum, the first grouping in this excerpt listing experiences that all describe a lack of some sort, while the second group describes what we would think of as positive Saturnian qualities. A technical distinction actually already exists in the astrological tradition that can speak to some of these disparate specifics—sect. Sect is a Hellenistic astrological concept that describes how planets behave differently in charts depending on whether one is born during the day or at night. The sect of the chart is determined by whether the Sun is above or below the ascendant/descendant axis: if above, it is a day chart, while if below, it is a night chart. The sect status of a chart divides up the classical planets into two groups. The planets that belong to the diurnal sect are the Sun, Jupiter, and Saturn, while the nocturnal sect claims the Moon, Venus, and Mars. Mercury is neutral and can be considered to belong to one sect over the other depending on other chart factors. Each of these planetary groupings is composed of one luminary, one benefic planet and one malefic planet. The so-called “benefic” planets, Jupiter and Venus, are considered such because of their power to affirm or to improve certain topics, while the so-called “malefic” planets, Saturn and Mars, have the power to deny or harm certain topics. Two common objections should be immediately addressed before proceeding further. The language used here is merely signifying the state of a topic being improved or made more difficult; this should not be read as the planet actually acting, but is merely a useful shorthand way of speaking about it. It is also worth mentioning that this is not referring to an individual person being bad or good, but rather to certain external topics in one’s life being improved or made more difficult. Sect modifies the qualitative status of these planets, particularly the benefic and malefic planets, so that they are more beneficial or harmful in different charts. 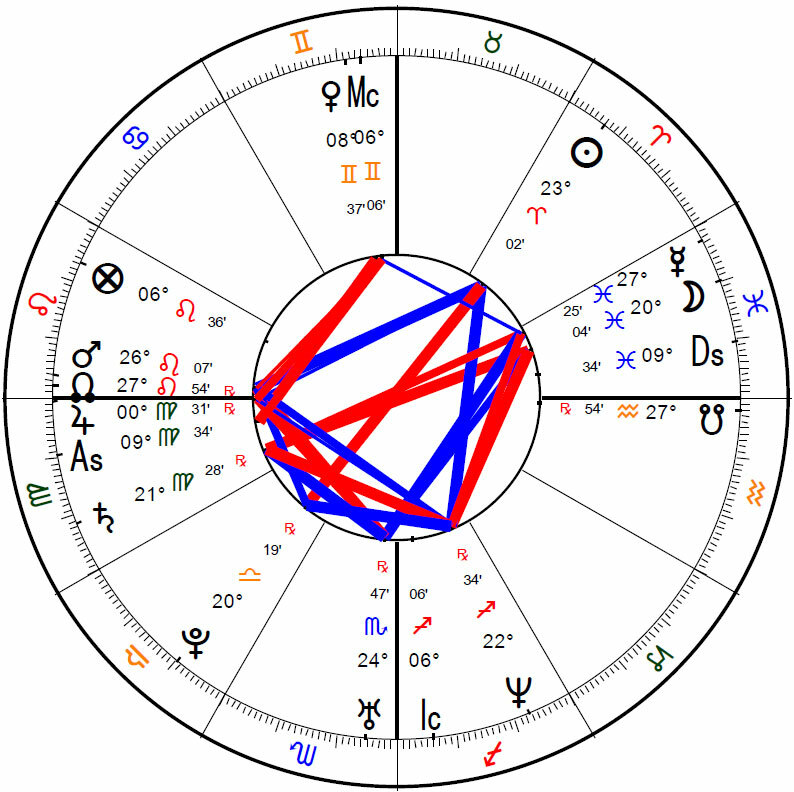 So referring to the two groupings mentioned earlier, the planet Saturn is more constructive and positive in day charts, while it is more harmful and negative in night charts. Mars is the opposite, so that in night charts it is more constructive, while in day charts it is more harmful. The benefic planets, Jupiter and Venus, follow the same pattern, so that in day charts Jupiter is more helpful, while in night charts it is less so; Venus is more beneficial in night charts, while less so in day charts. Going forward we will focus mostly on how this modifies Saturn in the charts of people born during the day or at night. 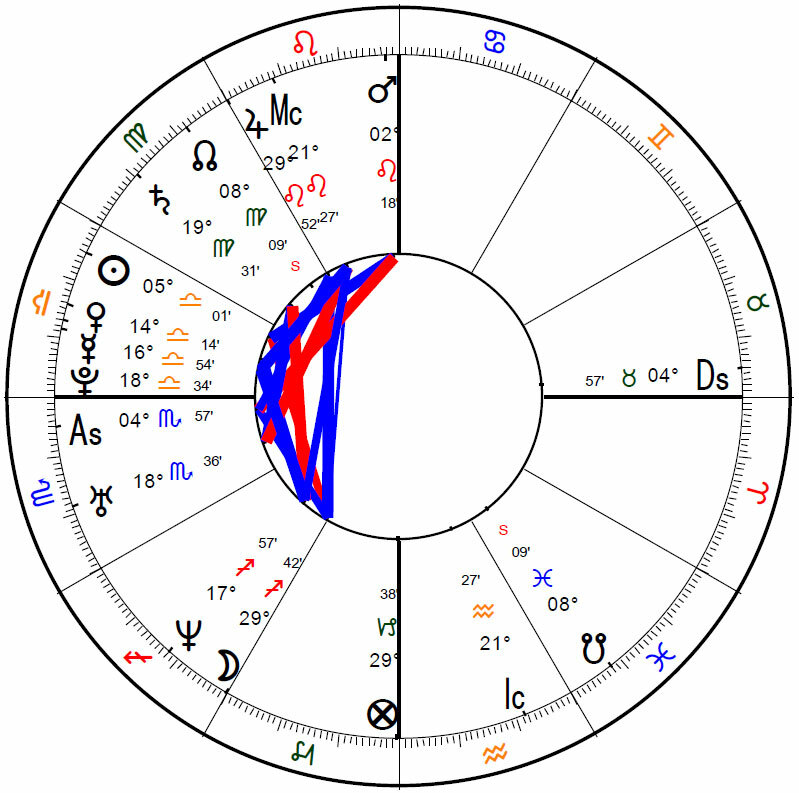 So in day charts, Saturn tends to exhibit its more constructive qualities, such as responsibility, hard work leading to success or acclaim, etc. The night charts, conversely, tend to exhibit the less desirable qualities and situations associated with Saturn, such as loss and suffering. There are some other factors that modify this basic distinction, but sect is one major factor in how Saturn will be experienced in a given chart. Following from this distinction, then, the experiences that different people go through during their respective Saturn returns roughly line up according to the sect status of the chart. Since at the Saturn return, the qualities and placement of Saturn in the chart are intensified and highlighted, then whatever its basic nature is in the natal chart will become even more apparent. I would recommend using whole sign houses as the primary house system in evaluating this for now, and using a quadrant house system as secondary if that is what you normally use. The whole sign house system was the original house system in use when the concept of sect was developed, so it is important to use them together in order to most fairly evaluate how this is working in charts. I would also recommend using the classical rulerships with this concept for the same reason, as well as whole sign aspects, meaning that all Ptolemaic aspects by sign rather than degree are operating. The following are some chart examples illustrating how sect is observable in real peoples’ charts and life events. Click the charts to see a larger image of each. Example #1: Michael J. Fox (June 9, 1961, 12:15 am. Edmonton, Alberta, Canada). Michael J. Fox has the Sun below the ascendant/descendant axis in Gemini, so he has a night chart. This will mean that his Saturn has some of the less desirable qualities associated with it. His chart has Aquarius rising, with Saturn ruling both the 1st and the 12th houses and placed in the 12th house in Capricorn. Since Saturn is ruling the 1st house of the body and the primary house signifying the native and is in the 12th house, as well as is of the night sect, we can expect that his Saturn return would possibly have something to do with the body, as well as something with some of the negative Saturnian qualities like loss or suffering. At his Saturn return, Michael J. Fox was diagnosed with Parkinson’s disease, a currently incurable chronic illness that led to his eventual need to stop his successful full-time acting career. It is notable that he had been working at this vocation from a young age. Example #2: Adrien Brody (April 14, 1973, 3:30 pm. Woodhaven, New York). 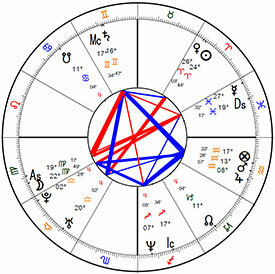 Adrien Brody has the Sun above the ascendant/descendant axis in Aries, so he has a day chart. This will mean that his Saturn will have some of the more constructive qualities associated with it. 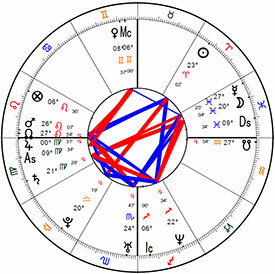 His chart has Virgo rising, with Saturn ruling the 5th and 6th houses and placed in the 10th house in Gemini. 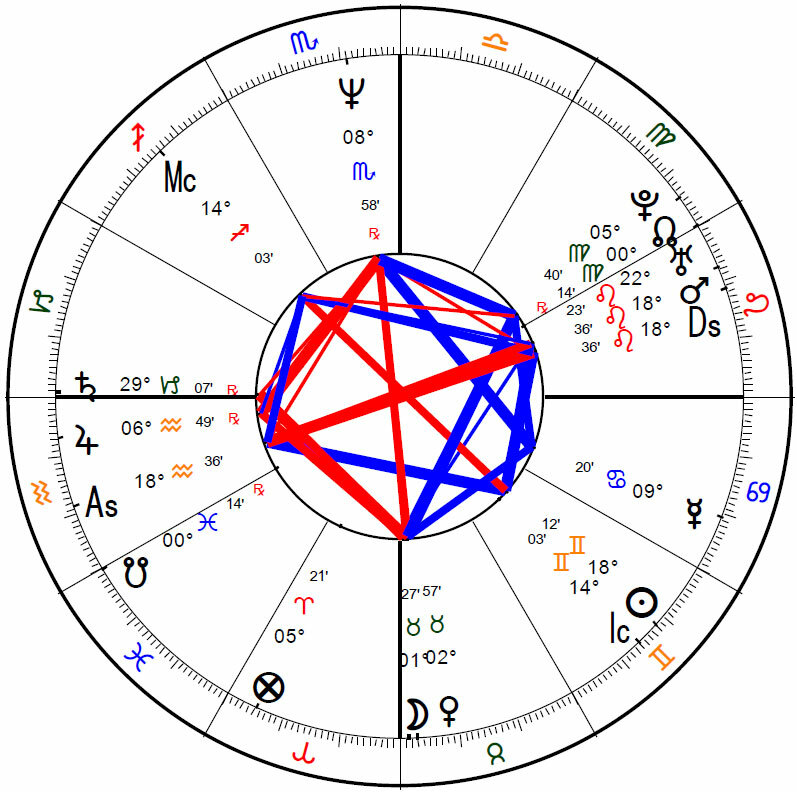 We would expect his Saturn return to be focused on career (10th house), which was somehow related to the topics of the 5th house (creative expression or children) and/or the 6th house (health, bodily habits, work), as well as express some of the more positive Saturnian qualities like work leading to success. At his Saturn return, Adrien Brody became the youngest person to ever win the Academy Award for Best Actor for his role in the film The Pianist. To successfully portray his character in this film, a pianist who lived through and survived the Holocaust, Brody purposely lost a lot of weight, withdrew from society, and gave up his apartment and car—certainly Saturnian experiences, but both reversible and purposely taken on, that led to his major success in the end. Example #3: Anonymous (September 28, 1979, 11:09 am. Sitka, Alaska). 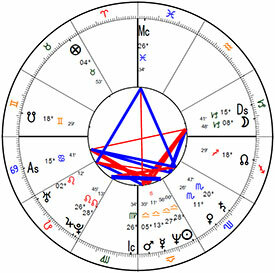 This native has the Sun above the ascendant/descendant axis in Libra, so she has a day chart. Her Saturn is in the 11th house, and rules the 3rd and 4th houses. 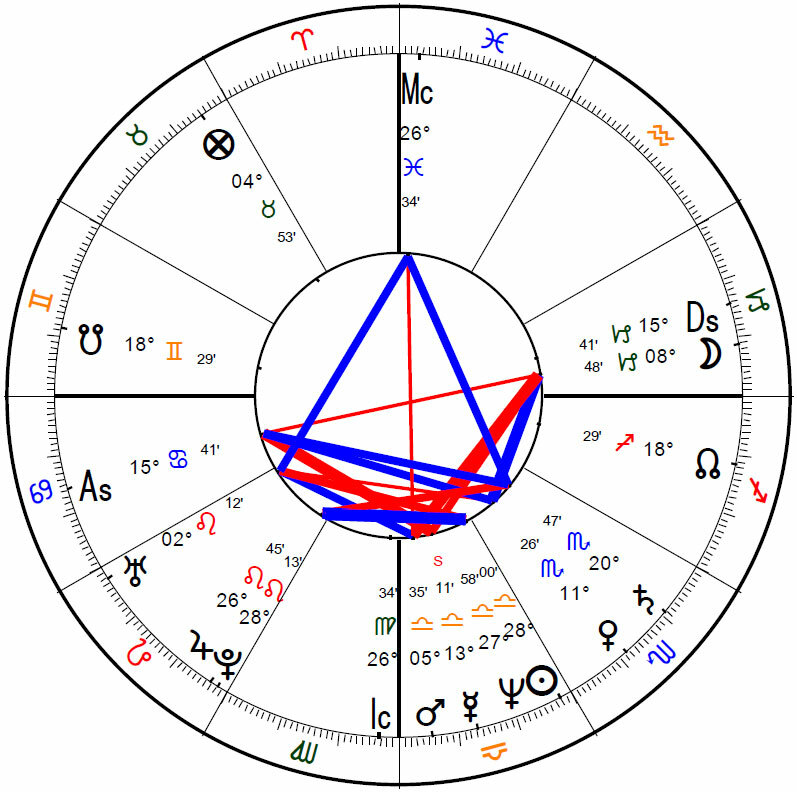 We would expect then that her Saturn return would have something to do with the topics of friends or groups/associations (11th house), siblings or communications (3rd house) and the home or family (4th house). Given that this is a day chart, we would also expect these topics to exhibit more of the positive Saturnian characteristics. During her Saturn return, she started a business leadership group for young women. She also bought her first house, and reconnected with a half-sibling that she had previously known about but not talked with much, which she reported has continued to be a positive relationship in her life. Example #4: Anonymous (October 21, 1955, 9:48 pm. Denver, Colorado). This native has the Sun below the ascendant/descendant axis in Libra, so he has a night chart. His Saturn is in the 5th house, and rules the 7th and 8th houses. 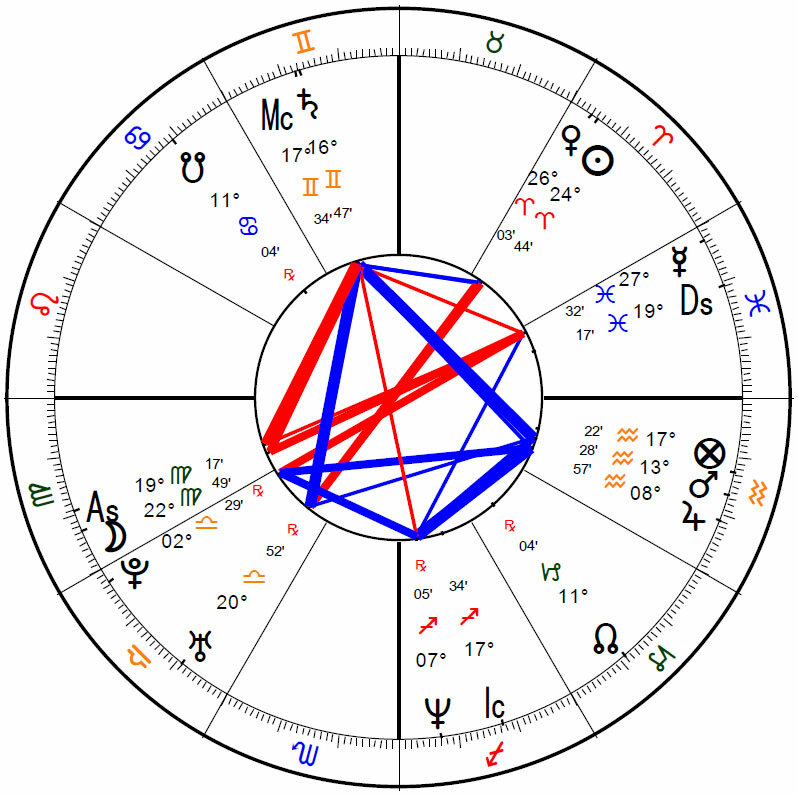 We would expect that his Saturn return would have something to do with the topics of children or sexuality (5th house), partnership (7th house), and/or death (8th house). As his Saturn return began, he got into a relationship with a woman, who became pregnant but then quickly disappeared from the area, so he never knew if she had the child or not. He also got married himself later in his Saturn return, but they divorced after only about two years. His stepfather, whom he was fond of, also died during his Saturn return. Example #5: Anonymous (April 12, 1980, 2:48 pm. Brooklyn, New York). This native has the Sun above the ascendant/descendant axis in Aries, so she has a day chart. Her Saturn is in the 1st house, and rules the 5th and 6th houses. 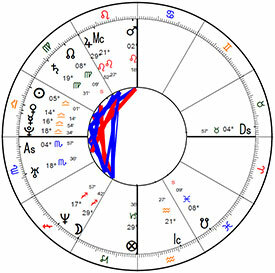 We would expect that her Saturn return would involve the topics of body or general self (1st house), as well as possibly recreation or children (5th house) and/or bodily habits or work (6th house). She had been abusing alcohol and drugs for close to ten years, and at her Saturn return decided to become sober and successfully did so. She also started receiving body-centered therapy, and found that to be such a helpful experience that she eventually went back to school to become a counselor herself. I hope that these examples start to show some of the general differences between day and night charts at the Saturn return. In the day chart examples, the natives here tended to have more overall positive experiences that included some sort of success or attainment of a life goal, or an overcoming of a previous difficulty. 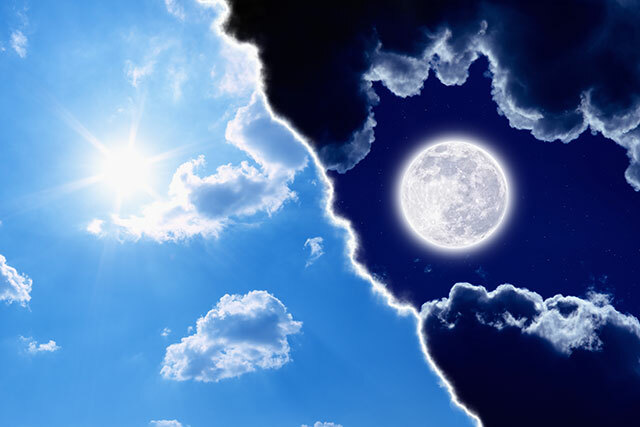 The night charts tended to have a difficulty crop up during the Saturn return that involved something outside of the native’s control, either another person or a serious illness. The sect status of one’s Saturn is one major distinction for how to interpret the probable quality of a given Saturn return, but it does not stand alone. Briefly, some of the other factors that alter this basic distinction include whole-sign aspects from the benefic planets Jupiter or Venus, especially by superior trine or square; Saturn being in its own sign or exaltation, and aspects from the other malefic planet Mars, especially hard aspects. In this way, we can see some of the gradations of experience that happen in real peoples’ lives depicted using these factors. So, now that we have gone though the technical manner in which Saturn returns are affected by sect, I would like to explain two major reasons this seems important. The first reason is accuracy: we can simply gain a more specific understanding of what someone’s experience will be or has been, which should be reason enough to care about this in a field focused on knowing things we should not otherwise be able to know about another person’s life. In particular, seeing the myriad ways in which Saturn returns can manifest in either some of the more constructive or the more difficult experiences on the Saturnian spectrum and how that correlates with sect can inform our practice of astrology. One of the things this shows us is that some Saturn return experiences more closely conform to the “reap what you sow” aphorism, but not all. The first two example charts shown earlier are a nice study in contrast with respect to this. Adrien Brody is a near-perfect example of this typical way of thinking about the Saturn return: he put in an enormous amount of effort getting prepared for his role in The Pianist, and then it all was rewarded in the end with great success and a career peak. But some difficulties also come unbidden through no fault of one’s own, no matter how hard one is working: Michael J. Fox had been working since age fifteen as an actor and had already had great success, but nonetheless he developed a debilitating chronic illness at his Saturn return that severely limited his career from that point forward. A common objection that is frequently raised to this kind of thinking is that there isn’t really any objectively “bad” or “good experience, but that instead what is most important is how one thinks about it or works with it internally, either psychologically or spiritually. My first response to this is that there are still specific life events that are generally more or less desirable to real people, and being able to identify those is a first step in talking about them if one is an astrologer and not only a counselor. My second response would be that such a perspective can be received as quite insensitive by someone who has experienced objectively difficult external life events, and that one must start with what has actually happened before going anywhere else with it. Now, what one does with the difficulty is a different matter. I think you can usefully ask in almost any circumstance, “what can I learn from this,” but it is a denial of reality not to admit that some situations are much harder than others. It is understandable that most astrologers would want to speak to things that are under the native’s control, because that is the only thing one’s own self-will can have any effect on. My concern is that an astrology that implies it is all up to self-will excludes a great number of people in the world, anyone who has had any major life difficulty unrelated to their own actions. Without the tool of sect, it is easy to see some people thriving during their Saturn return and some people suffering, and to chalk it all up to their disparate free will choices. One of Saturn’s traditional significations is wisdom. In contrast with the Jupiterian wisdom of the exuberant preacher or prophet, Saturnian wisdom is borne of sober, realistic experience over time. This is the kind of wisdom associated with archetype of the wise old elder, who has been around for a long time and has seen how life works. That is why we value their wisdom: they have lived long enough to see both good and bad times and have gained proper perspective from that. True wisdom is the kind that understands that life contains both opportunities that you can only grasp through hard work and difficulties outside of our individual control. We can be better astrologers if we can first see these distinctions in charts, and can also compassionately communicate with our clients or to others through our public writing and speaking, no matter where they may happen to fall on that spectrum of life experiences. As astrologers, we assume the role of dispensing wisdom. I have the hope that we can be like that wise old elder, no matter our age, to truly be able to see and validate the entire spectrum of life experiences. Incorporating sect into our delineations is an important tool in achieving the ability to show why some experiences will go more positively or negatively in different people’s lives. Ultimately, if what we are interpreting is life itself, that by definition must include the light and the dark, the wondrous and the devastating. We can work with what happens internally, but that need not conflict with acknowledging the quality of external events themselves. By being both able and willing to see these distinctions in people’s charts and lives, we can serve as clear-eyed, compassionate witnesses to reality. 1. Vettius Valens, The Anthology: Book I, trans. Robert Schmidt (Berkeley Springs: Golden Hind Press, 1993), p. 2. 2. Richard Tarnas, Cosmos and Psyche, (New York: Viking, 2006), p. 91. This article was originally published in The Ascendant, the journal of the Association for Young Astrologers, vol. 1 (2015), pp. 14-18. Hello Leisa, thought-provoking article but I do have some questions. – is it not of any significance if Saturn is below the horizon in a day chart or above the horizon in a night chart? – all examples talk about a first Saturn return. May I assume that you can approach second and third returns in a similar manner? In January 2016 I will have an exact second Saturn return (in a conjunction with sole dispositor Venus). Day chart Sun in Taurus with Saturn below the horizon in Sagittarius 3rd house, ruling fourth and fifth. Saturn is not making any aspects and the only planet below the horizon. Just as my first Saturn Return was very difficult, so is my second. Have again decided to sell the house and move, find myself in a foreign country and moved into a new city, no work, no income, loss of purpose etc etc. No fun and not reaping up any good results from the past 29 yrs. He you can see my natal chart. But maybe my negativity comes from the stress of the moment and will subside when the Saturn Return come into full force. I like to hope so. My older friends tell me that the second saturn return isn’t as difficult as the first. 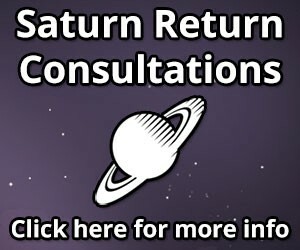 Saturn ferments in the chart – there is a refining process with it over time. Saturn seemed to be contacting things all over your chart in 2014. While it will be a three pass saturn conjunction throughout 2016, there is also a lot of easier activity from Jupiter going on as well that year. (A jupiter return! And it crosses your Ascendant! Squares your midheaven!) I never thought about this before, but maybe the fact that Jupiter returns coincide with Second Saturn returns as life cycle transits is what makes the latter easier than the first saturn return. hi paulus.. thanks for sharing your personal position with chart. 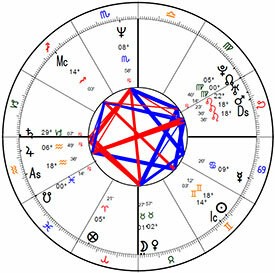 i was reminded of the chart posted for michael fox by seeing yours.. an area that i feel gets ignored – aside from sect), is the idea of solar houses.. both yours and mchael fox’s have a solar 8th house saturn which to me suggest the possibility for a difficult transition regardless of whether the sect of saturn.. actually – the one difference here is saturn would be said to function more favourably in your chart then in fox’s.. i am curious how it works out for you in the coming year when the sat return actually takes place.. – ps – lelsa – thanks for the article. i enjoyed it. One question springs to mind — what about the counterfactual? Have you come across beneficial SRs in night charts, or difficult SRs in day charts? Presumably these exist. Including several such examples would help me to understand the mechanism of sect, as well as the role of “mitigating factors” in shaping the overall experience. Hi, I really enjoyed the article and am excited to explore your website! Just wondering if there is any sort of gray area as far as day vs. night influence goes if your sun is just above/below the ascendant or descendant, where you might get a bit of both ‘sides’ of Saturn. I’m asking for admittedly selfish reasons as my sun is at 25 degrees in my 12th house. Thank you, keep up the thoughtful work! Hi Eleanor, sorry for missing this comment earlier. That’s a very good question, and one we’ve been trying to explore more. You still have a day or a night chart with its relevant qualities, but the grey area can be where exactly the cutoff is if your Sun is quite near the Asc/Desc degree, since it can visually start to be light outside before the sun has fully risen. I’d say that if your Sun is above the Asc at all then it’s definitely a day chart, and if it’s below the Asc degree by about one degree it’s probably still acting like a day chart. Beyond that I’d want to check how those planets were acting for you in your chart, as well as whether using timing techniques set for a day or night chart seemed to match up with your experiences better. I got my first real job as a Hotel receptionist when my in sect Saturn returned to its position in Aquarius in 9th house. It rules MC ,9th house and 8th. Hi Paul, Thanks for sharing your experiences. That actually is pretty cool, not only the classic going to university with it in the 9th house, but also even the hotel job since you’d be meeting people (even if briefly) who are traveling from all over the place. Saturn is often involved in 3 separate houses, and though the Saturn return can bring up events involving all of those topics, sometimes it is more focused on a couple of them more than the third. Also, I’ve seen a bunch of Saturn return examples where the 8th house involvement is more its psychological, internal themes rather than external topics.